Recover inaccessible and corrupted Exchange database (EDB File) without any hurdle. Export Source mailbox to Outlook PST, Office 365 and Live exchange. Export added source mailbox to Live Exchange/Office 365 archive mailbox and public folder. Recover Damaged and Inaccessible Exchange Database (EDBFile) seamlessly and Export Source Mailboxes to Outlook PST, Live exchange and Office 365. 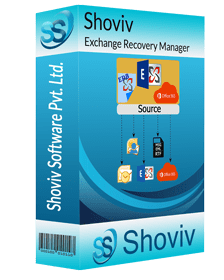 Exchange recovery Manager is highly emerged software which helps in Exchange Database (EDBFile)recovery and facilitates to handle corrupted EDB files and restore mailbox contents like emails, contacts, calendars, tasks, deleted items etc. The software comes with numerous of versatile feature which facilitates to export Source mailbox such as EDB files, exchange server mailboxes, Office 365 mailbox, etc. to Outlook PST, Live exchange, Office 365, and Live Exchange/Office 365 archive mailbox and public folder. Add different source mailboxes such as EDB files, exchange server mailboxes, Office 365 mailboxes, Outlook profile stores, Exchange/Office 365 archive mailbox and public folder. No size limitation while adding Source mailbox or EDB File. Preview Option to view Recovered Exchange database and other source mailboxes. Instantaneous Exchange database recovery with ease. Save EDB files and added source mailboxes to different format. Export Source mailboxes to Outlook PST, Live exchange and Office 365. Map source mailboxes and target mailboxes automatically. Export single source mailbox in Exchange/Office 365Public folder and archive mailbox. Search option to search items by different criteria. 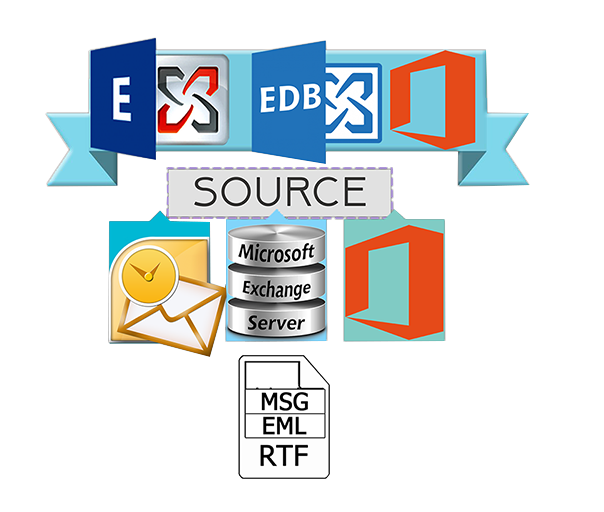 Exchange Recovery Manager offers an instant adding of source mailbox for accurate and effortless Exchange EDB recovery and source mailbox migration.The software is capable of adding numerous source mailboxes such as EDB, Live Exchange server mailboxes, Office 365 mailboxes, Outlook Profile stores, Office 365 archive and public folder and Live Exchange archive mailbox/public folder. Apart from these, it also facilitates to export recover Exchange database(EDB files) and source mailboxes to Outlook PST files for the process of migration. The software provides easy option to export EDB files or source mailbox to new PST files or existing PST files along with an option to split PST files when it required. Recover exchange database with Exchange Recovery Manager which supports the recovery of mailboxes from corrupt offline EDB and STM files (STM File only for Exchange Database 2003). The Software effortlessly recovers the EDB items such as emails, contacts, calendar, notes, journals, etc. from the corrupted and inaccessible EDB files without any difficulty. It also facilitates to view source mailbox and recover Exchange database on the basis of following option such as body, item property, recipient and attachments. The preview option allows to cross-check the source mailbox items and assures the accuracy and integrity of product for added source mailbox. It offers many versatile features which not only recover Exchange database(EDB files) but also allows to save the source mailbox items into various file formats such as HTML, EML, VCAL, VCard, MSG, MSG UNICODE, CAL, RTF, etc. so that it gets easily convenient for users to work in different file formats. The tool comes with integrated features which allows to add EDB files and source mailboxes without any size limitation. The software has flexible option to recover EDB files and export source mailboxes without having dependencyof size limitation of the mailbox inserted. The flexible features of Exchange manager support to move mailboxes to Cloud-based Office 365 platform. You can export EDB files, source mailboxes to Office 365 environment with mapping facilities to map source mailbox with target mailbox. Beside this, it efficientlymigrate source mailboxes to Live exchange server with auto mapping facility when the proper information of source and destination mailboxes are known. The Search option allows searching the mailbox items using three different criteria. This option helps to search all the items on the basis of their attachment name, message class and message date or by subject, from/to, cc, bcc, etc. Enhanced feature of this tool allows to export single source mailbox of EDB File, Live Exchange and Office 365 to archive mailbox and public folder of Live Exchange and Office 365 without any hurdle. The software will effortlessly export Live Exchange/office 365 archive and Public mailbox to different archive mailbox & public folder. Automatic mapping option allows to exports the source mailboxes to any target mailboxes only when the source mailbox is similar to the target mailbox.And in case source mailbox is not similar to target mailbox then options are provided to map source mailbox according to desire target mailbox. With the filter option, you can exclude or include the source mailbox items and filter the message. This can be done according to their message class and message date. The filter option also provides an option to exclude inaccurate items (only for EDB mailboxes) for user when the folder items are improper such as body, attachments, recipients or when other properties are missing. © 2019 www.edbmailrecovery.com. All Rights Reserved.